Line up gleeks, and get ready for some exciting news! According to The Wrap, rumours are flying that FOX is seriously considering giving Glee a very early season two renewal. Typically shows don’t get approval for a second season until May, just before upfronts, and every so often, when a show is a huge success, it will get the nod in February or March. But a January pickup is a very rare occurrence, one that last happened notably with Heroes back in 2007. For one thing, it would give Murphy time to start planning season two as soon as he can (part two of season one is just beginning production). And the entire Fox machine, from marketing to media relations, would be able to begin thinking about what’s next for the show. Keep watching Gleeks United this week for more Glee news from Winter TCA 2010! 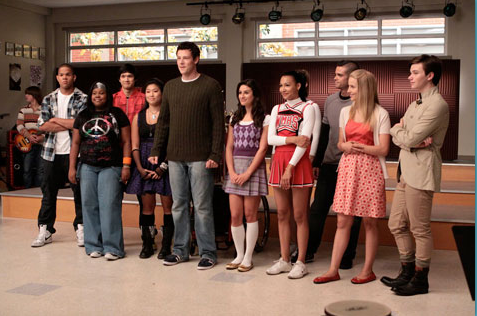 HAHAHAHA Cory Monteith looks like a giant in that photo. I’m sorry, is there a time that he doesn’t?! It’s true. But for some reason, he’s exceptionally giant here. And it’s exceptionally funny. 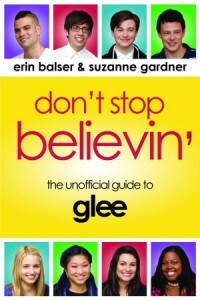 Can you start a Glee Countdown? Glee Spoilers | Greenlight Says Go Ahead For Glee?